As each holiday approaches I tend to get overly excited, and one would think that each holiday is “my favorite”. However with certainty I can say that Saint Patrick’s Day has never managed to charm me. That was, until I discovered how much fun it was to create holiday-themed confections. I've never been a huge St. Patty's day fan either. We're not Irish so I don't really get it. These look fun though! 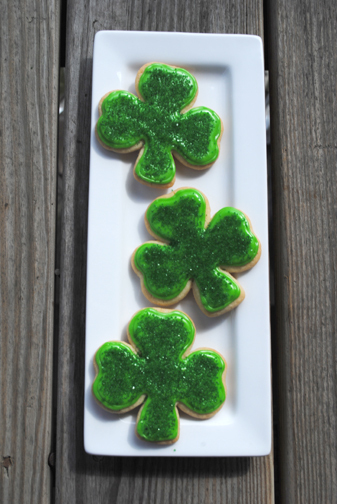 These cookies are so cute, not big on St. Patrick's day but I love March (birthday month! St. Patrick's Day is one of my favorite holidays....maybe because I love the color green. Those cookies are way too cute!! You can pass some of them my way! These are perfect! love them! These looks delish & what a great job you did! adorable! due to the fact I'm from Dublin, OH St. Patricks Day is a pretty big deal - I'll have to make some! Those are so cute! Any holiday is a great excuse for sugar cookies! Those cookies are just adorable! So festive! Oh, those are so cute and perfect for the holiday. 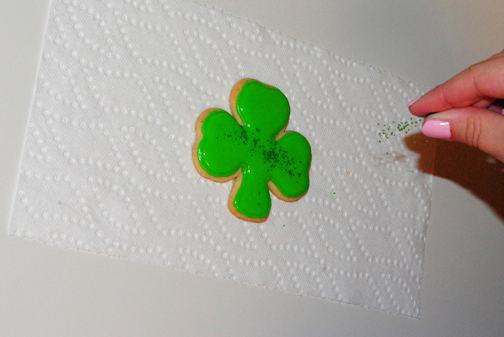 Oooh, those look so yummy - fun idea! I wish I had the Patience to make these. They are really cute. Ah how cute are those...perfect for Saturday!